BRAND TIPS: How do we create a branding brief? Posted 6th November 2018 by Adam Wyatt. There’s no denying the fact we use far too many materials, throwing away an increasing amount of single use products and plastic. There’s also the environmental impact from the growth of fast fashion to consider. So it’s good to see companies – from Blue Chip to SMEs – embracing upcycling as an innovative way to create new products. 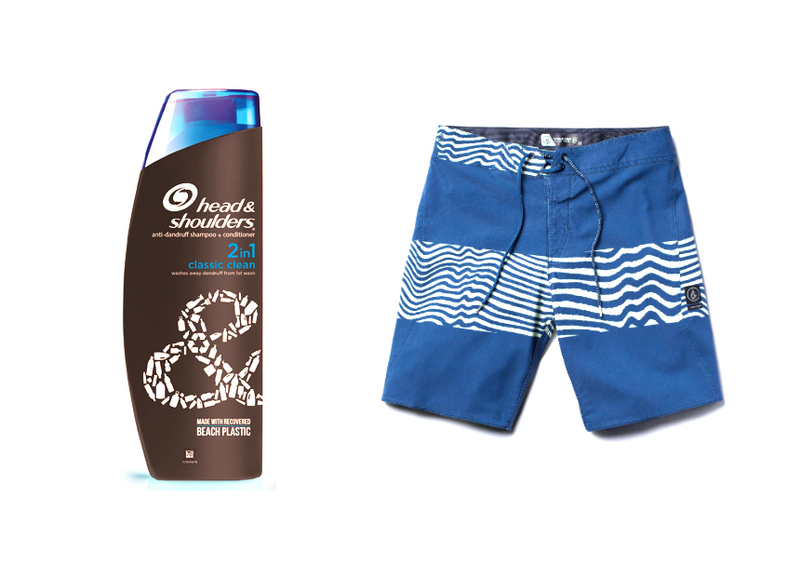 Recycled bottles are turned into Mod-Tech boardshorts at Volcom, using an estimated 5 plastic bottles per pair. Recycled polyester uses nearly half the energy that virgin polyester does, which helps reduce Greenhouse Gas emissions during manufacturing by about 45%. This offsets the need to use new resources such as petroleum, while emitting fewer greenhouse gases. Head & Shoulders has proved their commitment to tackling plastic waste with the announcement of the world’s first recyclable shampoo bottle, made of recycled beach plastic. This commitment to reusing plastic waste will see around 2,600 tonnes of recycled plastic used to make half a billion shampoo bottles every year. Made from recycled British bouncy castles, these upcycled tote bags bear their own individual marks and scars, each telling a nostalgic seaside story. The materials used in these Wyatt & Jack’s ‘Break the Bag Habit’ handmade totes have spent 50 years being weathered by British elements and are co-branded with an SAS cotton tag. Each bag is totally unique. These reusable coffee cups are made from the waste material of rice husks – the outer hull of the rice grain. This natural and robust material (which could otherwise be burnt at the mill) is used to create a plastic-free cup. Toxin free and tree free, these cups look great and last for years. Then, at the end of their life, they simply biodegrade. 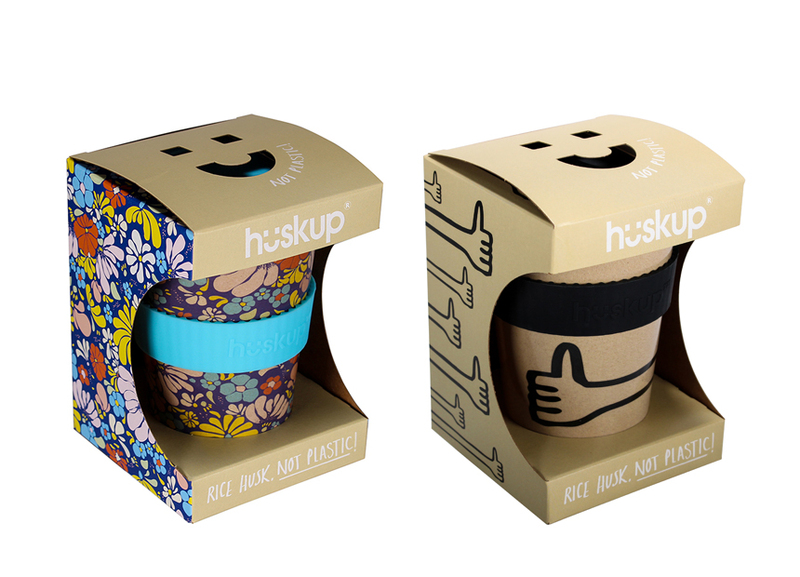 Flipside is proud to have worked on branding and design with Huskup. It took two years of research and development to create this innovative product – the first ever flip-flops made from 100% recycled materials. Working closely with the La Rioja Footwear Technology Centre, Ecoalf developed a process to mould rubber particles from recycled tyres without using any adhesives or harmful chemicals. 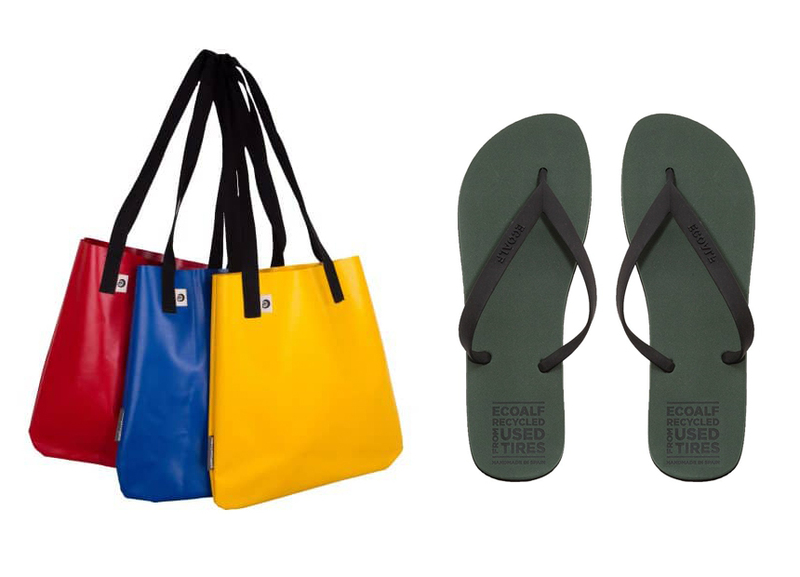 This means that in contrast to other flip-flops made from upcycled materials, the Ecoalf flip-flops are 100% pure recycled rubber. 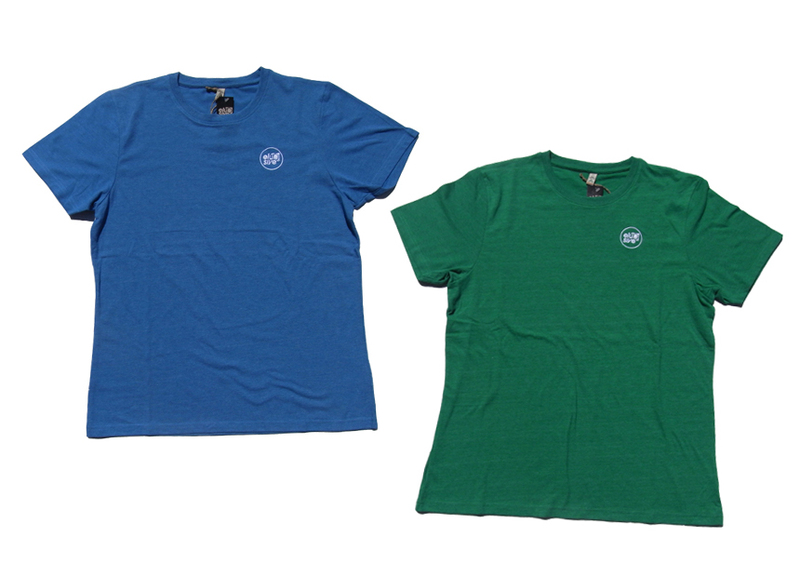 This independent clothing and lifestyle brand has designed the Iconic Earth Collection using 100% recycled materials. Made from 60% recycled organic cotton and 40% recycled polyester, salvaged cuttings of waste organic clothing are shredded and blended with recycled plastic bottles, then turned into fabulous t-shirts to wear on your adventures and travels. Flipside is proud to have worked on branding and design with Elusive.